How is all tanned and wants a nice exfoliator to even out skintone and make it smooth and silky. Here is a super affordable scrub option, Nomarks Exfoliating Scrub. Nomarks Exfoliating Scrub costs 55 INR for 50g and 99 INRfor 100g. So today we are going to do a puppy eyes makeup which is a perfect collage or school makeup look. This eye makeup looks very adorable and give a innocent puppy look . There is nothing like pampering your skin with a good face mask. I am a huge sucker for masks and this Hedonista Face Soufflé is totally a luxury. This is a chocolate and rhassoul cleanser that cleans skin inside out. Hedonista Face Souffléall natural and handmade face mask. 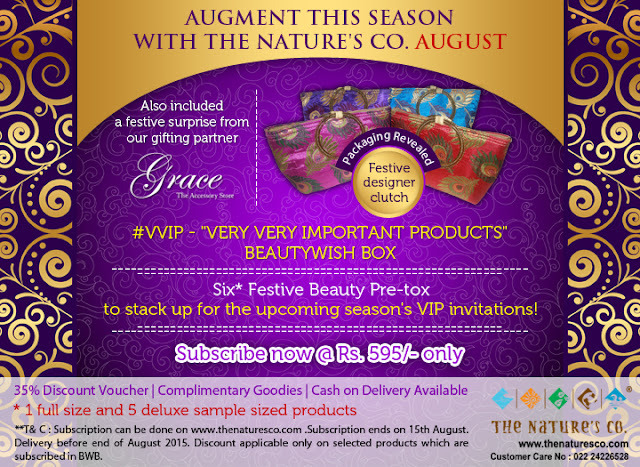 Hedonista Face Soufflé costs 1650 INR and I got it in my June My Envy Box. This month was special,ya ya it was my birthday month but also it was independence day and guys My Envy Box team took it so Seriously, August My Envy Box is epic. 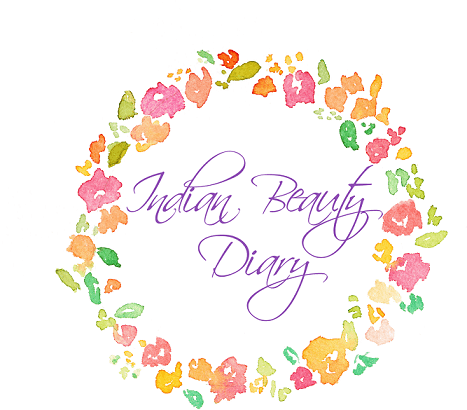 This months the theme is India Mon Amour, which means India My Love which totally is true, I am a huge patriot . 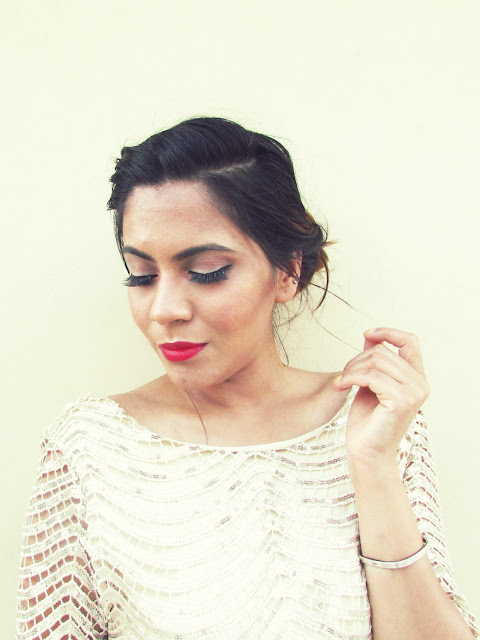 So let's start Monday with a happy news, I won the #redcarpetglam contest by The Fab as a vlogger, so if you haven't watched my Red Carpet look then be sure to check it out. And now to August Fab Bag. So it's the last and final part if my Andaman blogs, day 5 in Andaman, it was the day we had our flight in afternoon but we were not ready to give up and wanted to make the most of our little time left there, so we went to Ross Island and Chidiya Tapu. So finally the most exciting day of my Andaman trip is finally here. The day I did sea walk and Scuba diving. We started the day in our beautiful Havloc Seashell beach resort. We were rushing that day but the resorts private white sand was so beautiful that we couldn't resist doing photo-shoot. As mentioned in last post, On day 3 in Andaman I went to Cellular Jail which we commonly know was kala pani. It surely was the best part of the trip,so decided to take you on a tour with me. So its day 3 of my Andaman Trip, We got up a little and omg totally rushed to breakfast As we had to squeeze in Cellular jail tour before out 11am ferry to Havloc. So Its official, now I am a lipstick addict. 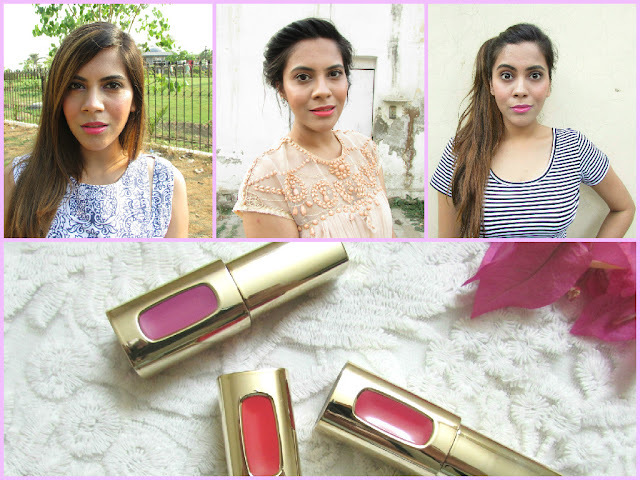 Today will be reviewing newly launched Maybelline Color Show Lipsticks. 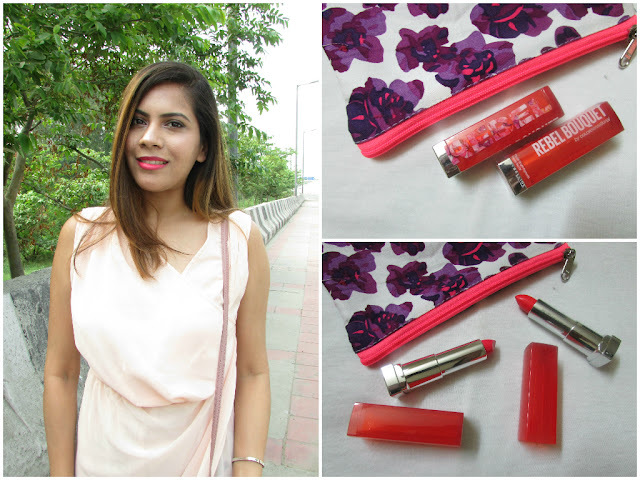 Maybelline Colorshow Lipstick costs 299 INR for a tube and comes a a lot of colors from all different color family's, reds, pinks and browns . 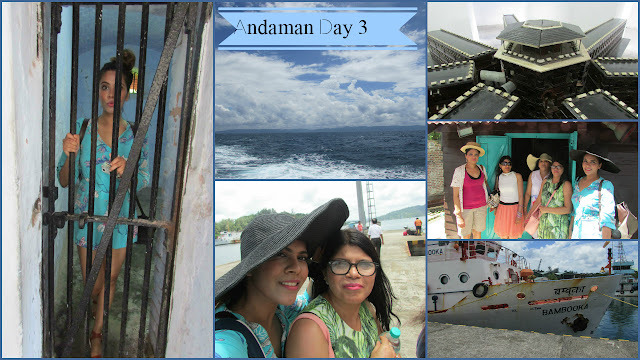 Lets end the 2nd Day In Andaman in this post. SO after a long and tiring day we were totally ready to hit the sack but then pushed ourselves to dress up again and go out the Dinner in Andamans best restaurant Amaya which is in Seashell Hotel. Hope you have read my previous two posts of all the things I did In Andaman , today I am going to start day two from where I left in my last post, Andaman Day 2, Part one. So today its the second day of my Andaman Holiday. It was a really long day so I thought I will split in in two to three parts. So lets get starred with my journey to Barahtang. SO after sitting in my draft for about a week, finally I am posting my Day 1 in Andaman And Nicobar Island. 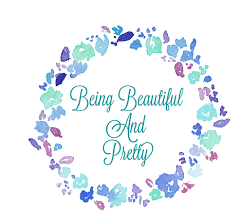 You you follow mw on my Instagram ( beingbeautifulpooja) then you know that on 27th July I went to Andaman for my summer holiday with my aunts. Girls ,who foes not want yo walk into a beautiful and calming bedroom after a long tiering day. 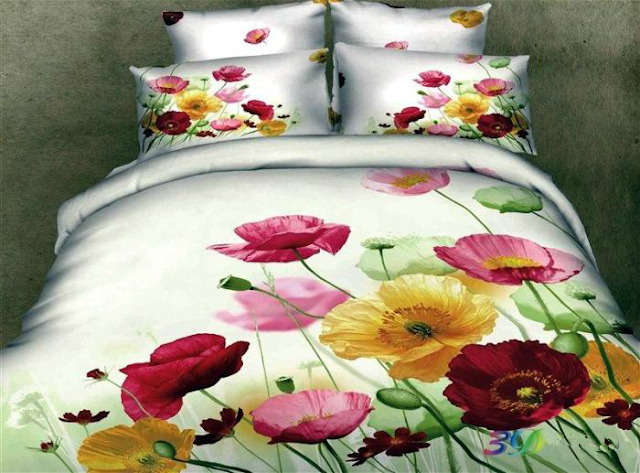 Bedroom is a place to relax and 3D bedsheets are perfect for to add some life to bedroom. Korean Makeup and Skincare is totally takin on the world and why nit, their products are on point. So today I have a Korean Lip Tint called 3 Concept Eyes Apple Tint. 3 Concept Eyes Apple Tint costs $15.99 and I got it from Loveshopping, they have a nice collection of korean and Japanese Makeup, do you remember my Toyoepin Eyelashes: Cheap and Best Eyelashes Online from them. So 3 Concept Eyes Apple Tint comes in a nice classy little black bottle with a Nailpaint like brush lid. The color I got is #pink and it looks like baby pink in bottle but once on lips it dries to a dark pink, kind if of fuchsia pink. You guys already know that I am obsessed with Haircare and anything that helps keep my hair healthy, I am up for it. I don't use heat everyday on my hair but whenever I do , Heat Protecting Spray is a must. So today I will be reviewing Schwarzkopf Got2b Gurdian Angel Heat Protection Spray. Every now and then there come a day when I want yo go all out and look fancy and dress like a movie star, like I am going to walk a red carpet . July Fab Bag was Red Carpet Bag and it really inspired me to crest this look. Has it ever happened that to you have guests coming over and there is absolutely no time to go pick up groceries, or coming back from work you get super tired to go pick even basic necessities like dairy, fruits and vegetables?!! Well, now they will come to you, how !!! 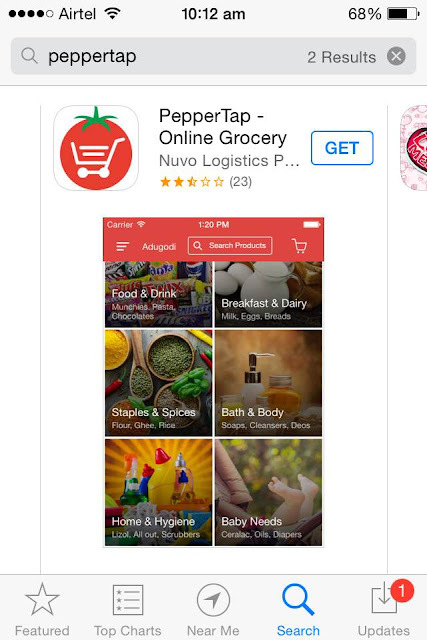 Just download PepperTap app. You love her , you hate her you just can't ignore her,yes, I am talking about Kim Kardashian, lets accept it guys girl has her makeup and outfits on fleek, I love it and I had to try her perfume called Kim Kardashian Gold.